AlabamaWorks! Transformation Update - September - AlabamaWorks! One of the most satisfying and exciting aspects of the rebranding of Alabama’s workforce system is that the process brings so many key stakeholders together for a common cause. Commerce and Labor, K-12 schools and community colleges, rehabilitation services and businesses and industries have contributed mightily in the effort to unify the many varied services that make up our workforce development system under one easily recognizable and understandable brand. A great example of the teamwork we continue to see in Alabama to meet the needs of businesses and job seekers is the new Academy of Craft Training. 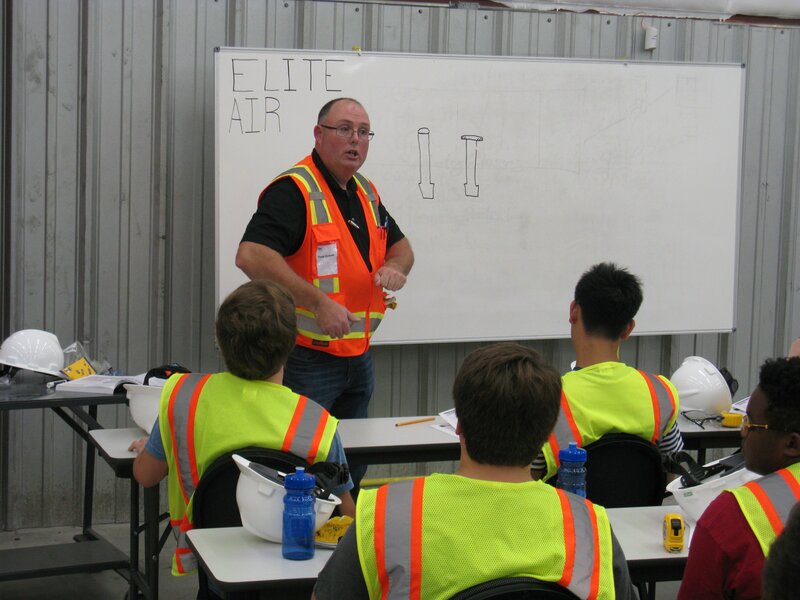 The academy, based at AIDT’s Alabama Workforce Training Center in Birmingham, launched last month and is training and linking high school students interested in the construction crafts with businesses that need skilled craftspeople. It is a model public-private partnership that we hope can be replicated across Alabama. 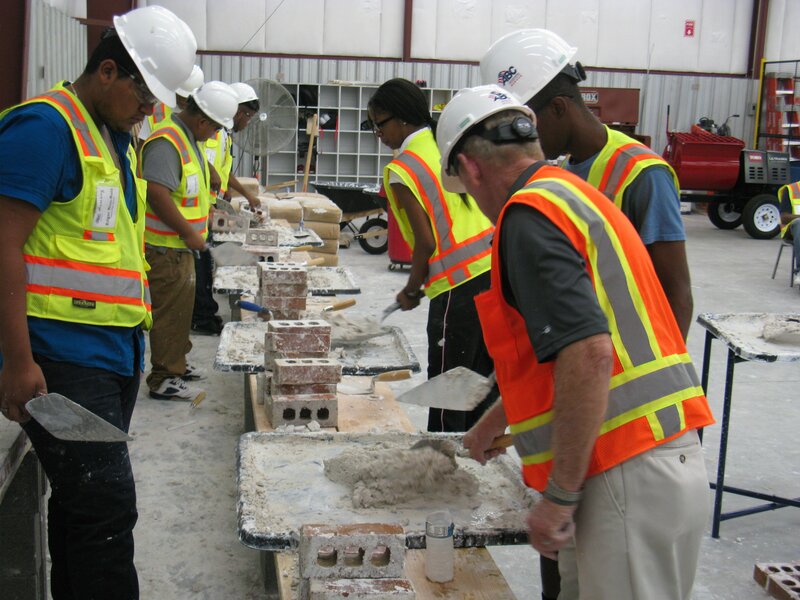 This ambitious educational program is the brainchild of the Associated Builders and Contractors of Alabama (ABC), in partnership with the Alabama Department of Education’s Career and Technical Education Department (CTE) and the AWTC. Nearly 90 students from 16 Birmingham area high schools are part of this inaugural class, according to Rod Jones, program manager at the AWTC. Next year, he said, the goal is to more than double the number of students to 200, with sessions in both the mornings and afternoons. Participating school systems are Bessemer, Birmingham, Fairfield, Homewood, Hoover, Leeds, Midfield, Mountain Brook, Pelham, Pell City, Tarrant, Trussville, Vestavia Hills and Jefferson County. Students can receive three class credits that count toward graduation. To learn more about the Academy of Craft Training, instructors and sponsoring businesses, click here. AIDT Again Ranked Among Top Three in Training in U.S.
Alabama is no stranger for being ranked among the top states for workforce training. So, it was no surprise that Business Facilities magazine in its 12th annual rankings of states again had Alabama among its top three. The magazine noted that Alabama is home to world-class robotics, automotive and aerospace training facilities. Being recognized nationally for our workforce development is always a positive. We appreciate that recognition as an organization, but it really says more about the people of Alabama who go through training and commit to these companies. “The states that are ahead of the curve are inviting emerging industries to tailor curricula to 21st-century job skills requirements; support the development of STEM skills; offer dual-credit high school tech programs (and/or two free years at tech schools); or have created industry-specific state training academies and/or on-site training facilities for advanced manufacturing and other growth sectors,” the magazine wrote. Of course, AIDT has long been a leader and model for workforce training. That training commitment remains a major draw for industries looking to locate or expand their operations in Alabama. The rebranding of Alabama’s workforce system, in which AIDT, the Department of Labor’s Career Centers, K-12 schools, community colleges and the business sector are all playing integral roles, will make the state even more appealing to new and existing businesses. Congratulations and thanks to our training centers and dedicated staff and to the public for continuing to make our workforce development program a national model. To read Business Facilities’ “12th Annual Rankings Report: State Rankings,” click here. 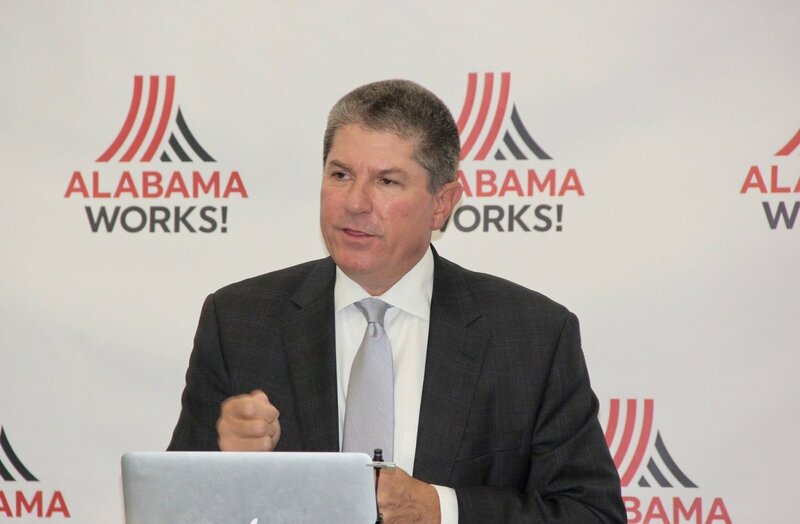 Much has been accomplished in recent weeks on the road to a new unified brand for Alabama’s workforce development system. Getting us to this point has required great teamwork from all our workforce development partners and stakeholders – the Alabama Department of Commerce, our Community College System, the State Department of Education, the state Department of Labor and, of course, our business sector. But much work still remains, and much more teamwork is needed to get us across the goal line. 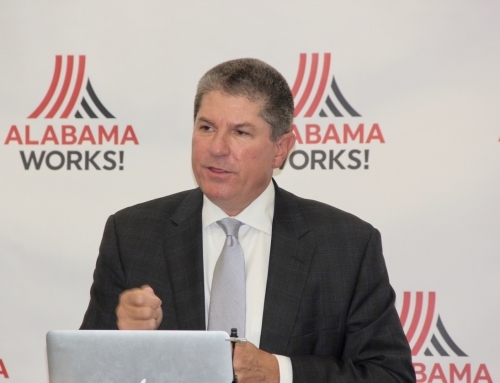 Here is an update on recent progress toward a new Alabama workforce development brand. • Does the name support the strategy and vision of the workforce system? • Does it support the brand charter? • Is the name differentiating? • Is the name culturally appropriate? • Can the workforce system own or buy the name? • Will the name let the workforce system tell its story? • Is the name moving us toward positive brand equity? Over the past several weeks, seven names and five logo marks were chosen by the Brand Advisory Panel executive group and several of the Brand Advisory Panel members to be market tested. This quantitative market test of the short list of names and marks was essential in removing subjectivity from the process in order to come up with the most effective name and logo for Alabama. • Evaluating potential names for the workforce system. • Evaluating logo designs for names. • Determining the name/logo that is most appealing. • Determining what is most and least appealing about each. • Determining any potential negative associations or “offensive” aspects of the possible names and logos. We will have results from the study in next month’s newsletter. In order to help those in the workforce system understand the new brand charter and expectations for how to live the brand each day, we are creating an educational experience that can be used by individuals or by a facilitator for a group of people. This 30-minute experience incorporates interactive elements, narration and video vignettes of designated leaders talking about the brand charter and its meaning to them personally and to the system’s success. Those who work in regional offices, career centers, and even those who serve on Regional Workforce Councils will benefit from the knowledge gained by using this tool. But the real winners are those employers and job seekers who will be served throughout the state. Again, we want to thank all of you, our partners and stakeholders – our team – who have contributed to this process. If you have any questions, or any suggestions or constructive comments, don’t hesitate to contact us at the link below. Mercedes-Benz U.S. International in Vance is stepping up its partnership even more with Alabama’s two-year college system with new apprenticeships programs in Tuscaloosa. The company is now taking applications for the program, which begins in January. The programs involve training both at MBUSI in Vance and at Shelton State Community College. Top performers in the programs will be offered jobs in production at Mercedes. The deadline for students to apply is Oct. 3. AIDT, of course, is a proud partner with Mercedes-Benz USI. 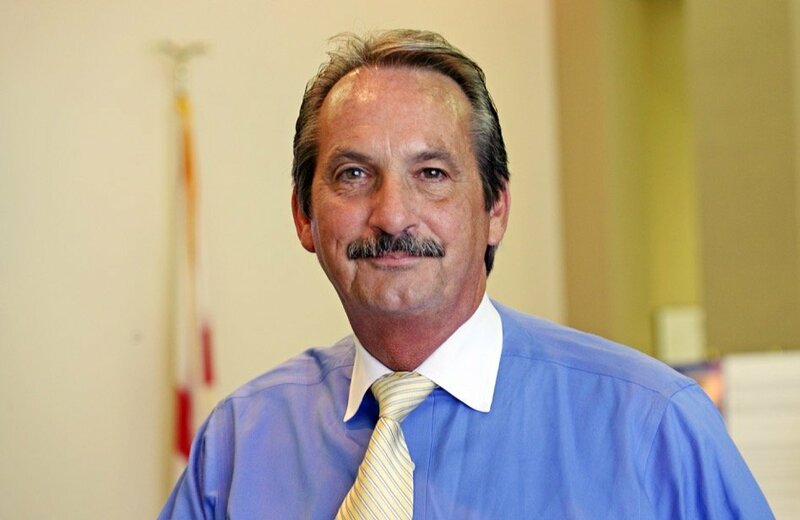 For more information, check out this story on AL.com. Speaking of branding, Bevill State Community College President Larry Ferguson recently appeared on the morning show “Talk of Alabama” on ABC 33/40 in Birmingham to discuss the school’s workforce training program and its new branding, “We Can Do That.” Ferguson also talked about the many partnership Bevill has with businesses.